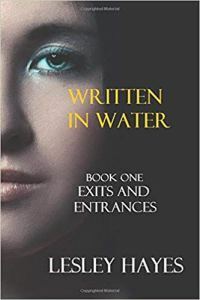 Check out this Review of Written In Water (Exits And Entrances) by Lesley Hayes as featured in this post from Writer Christoph Fischer’s blog. Lesley Hayes is one of my favourite authors whom I admire for her wide literary range and her gift for sharp psychological observation. “Written in Water” is the first in a new series of books written by her about three young women and their choices and opportunities in the 1960s. This combines two of my favourite genres: coming-of-age novels and – to some extent one has to call it – historical fiction. legalisation of homosexuality – which didn’t guarantee a care free life, to name a few.